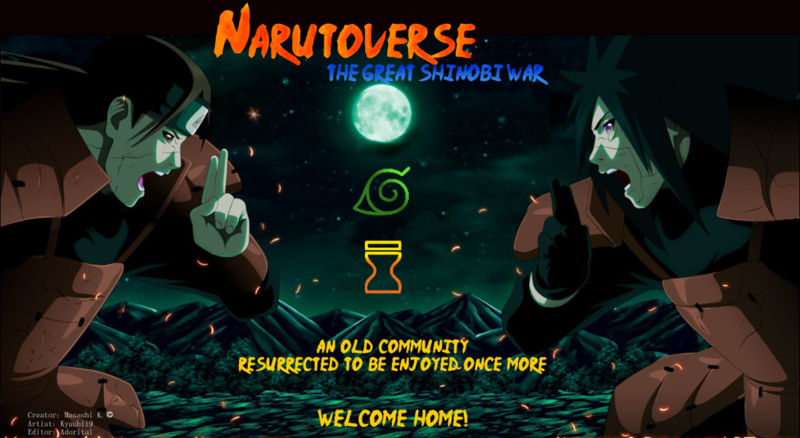 Official Forum for the NarutoVerse: The Great Shinobi War Neverwinter Nights Server.
.: Recognized Title (Acquired from Reputation) :.
.: Tattoos / Scars / Unique Features :.
.: Friends / Foes :. If you're missing and feel like you belong here, just pop me a PM.
.: Friends / Liked :.
.: Foes / Disliked :. "I must remain confident in my abilities, even if Pride doesn't suit me; when an enemy stands before me.. I must make sure he knows I stand above him." "Every Ninja has to fight, it is our duty! It is our bond to the village!" "Be proud! But do not fall to your own pride."
. : Bingo Book & Other Information :. You teach and train other ninjas to be at the top of their form. You mentor and guide those coming up through the ranks ensuring they are prepared for the decisions and challenges ahead of them. Also observe missions and create them for training purposes.
.: Reputation - Any unlisted are at '0' :.
.: Ninja Registration Number :.
.: Weapon of Choice :.
.: Squad 2 - Sangai "Havoc":. [-] Fought beyond double his typical health. And won! "Determination and conviction to your village make a great shinobi; do not forget this and you will overcome any obstacle." Clan Hatake, discovered several years prior to the First Great Ninja War are a well-renown family that possess an innate affinity for shinobi skills, in addition to their identifiable genius the family has a signature effect to their Lightning Techniques, appearing stark white due to their refined and dense chakra. Although the most notable members are not present during the current era; each member of the Hatake family has proven to be a renown and remarkable addition to their village of Konohagakure no Sato. Base I: [White Lightning]: Gain Element ‘White Lightning’ specific to the Clan/Bloodline; White Lightning Specialities are HP DR Pierce & Crit Range. 1xE Rank, 2x D Rank Jutsu. *Upon choosing [Jack of All Trades] User chooses one Discipline (Tai/Ken, Nin, Gen) that receives the bonuses, this can never be changed in the future. This Slot may be taken multiple times. [Keen Sense]: A Hatake with keen sense is capable of observing and completely understanding naturally occurring techniques (Bloodline/Clan Techniques are harder to recognize and are up to DM Discretion). Although serving no mechanical benefit this can be used for learning/teaching use. Base I: Can cast Genjutsu while physically stunned for +5CP, For 4CP all Allies gain +1 to one Discipline for 1 Rounds (Free Action). Upgrade I: Can cast Genjutsu while physically stunned for +4CP, For 3CP all Allies gain +1 to one Discipline for 1 Rounds (Free Action). Upgrade II: Can cast Genjutsu while physically stunned for +3CP, For 3CP all Allies gain +2 to one Discipline for 1 Rounds (Free Action). Base I: 1 DR Pierce with White Lightning Techniques. Upgrade I: D2 DR Pierce with White Lightning Techniques. Upgrade II: D2+1 DR Pierce with White Lightning Techniques. Base I: 1 HP Degen with White Lightning Techniques. Upgrade I: D2 HP Degen with White Lightning Techniques. Upgrade II: D2+1 HP Degen with White Lightning Techniques. From the time Karu has lost his arm; it served as a reminder of what could happen in the field. But it also reminded him that though it is a disabling impairment, it can be overcome. With this mentality he sought training with the family elders; farmers by trade and master assassins, expert ninjutsuists and the best teachers he could find. Through the access of the family libraries; he collaborated his individual knowledge, the information that was stored on scrolls, texts and books with the mentor-ship of his family elders. Through this he eventually began the path to execute techniques with single-handed seals. Note: User is permitted to use Single Hand-Seals for all techniques. 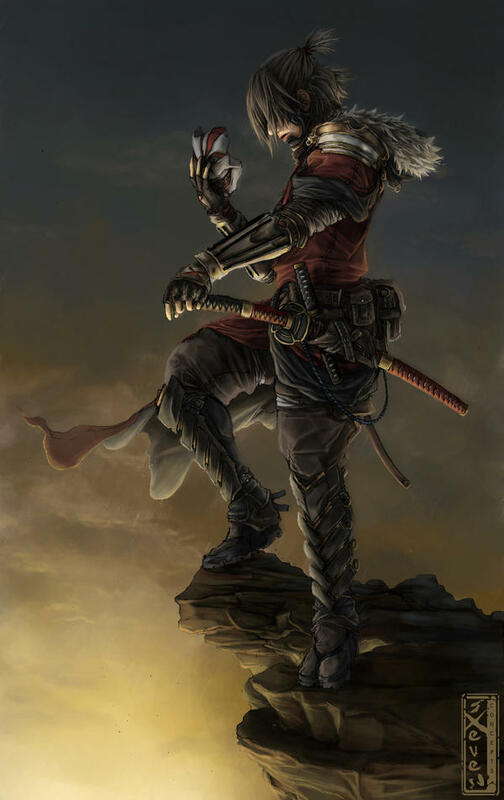 It is said that some individuals possess one or two more elements than the average shinobi. It's a rare instance that they possess more even. Along Karu's heritage it wasn't entirely uncommon to have two-three elements; he however, was beginning to show promise of having even more. Increasing his arsenal tenfold. Out-manoeuvre a slower opponent to push past their defences and deliver a blow. Effects: Single Target Attack, deals base damage-D2. Note: Defending against this with DEX takes a -1. Follow your opponents movements, twirl like the leaf’s shadow in tandem, and get in a advantageous position. Effects: Defend self, Gain 1 HP DR vs Tai/Ken. If successful Your opponent's next taijutsu roll is reduced by -1. By constantly circulating one’s chakra and actively creating a static charge through their white-lightning this allows not only the pre-emptive creation of one’s white-lightning, but through the constant friction through the users’ body builds up a stronger, denser chakra to be used be it in melee or ninjutsu combat. Effects: User gains +6 Critical Range while technique is active. Lasts D2 Rounds. Upon preparing their weapon, the user begins charging a core of white-lightning throughout the main portions of combat for the weapon; by doing so not only helps ensure a clear strike by sending an arc of electricity once it gets close, but allows the user to strike significantly harder by channeling the electricity into the target once full contact has been made. By thinly layering one’s body with their white-lightning it gives them a medium to draw towards targets that get too close; by doing so permits the user to quickly make physical connections and hits when they are closed in on; assuming they dodge or block in time. Effects: 1D3 Damage Return vs Taijutsu/Kenjutsu (On Attack). Lasts D4 Rounds. By placing both palms together the user follows a similar feat to the Circulate technique; by flowing an increasing flow of chakra throughout their system to a significantly larger degree allowing the use of increased density and force in their techniques. Effects: User gains +D4 White Lightning Damage for D2+1 Rounds. Upon executing the ten-string seal combination; the user begins to channel and discharge a huge amount of white-lightning throughout the entire battlefield. Although useful, it is prone to damaging allies as likely as enemies due to the sheer volume and force of the technique. Effects: AOE True; (Base Damage/2) + D3 White Lightning Damage. Lasts D4+1 Rounds. Note: Roll is made each round by both Attacker and Defenders. This technique was something of an experiment. Karu was interested and baffled at the arsenal that he truly had at his disposal. And he wanted to use it. 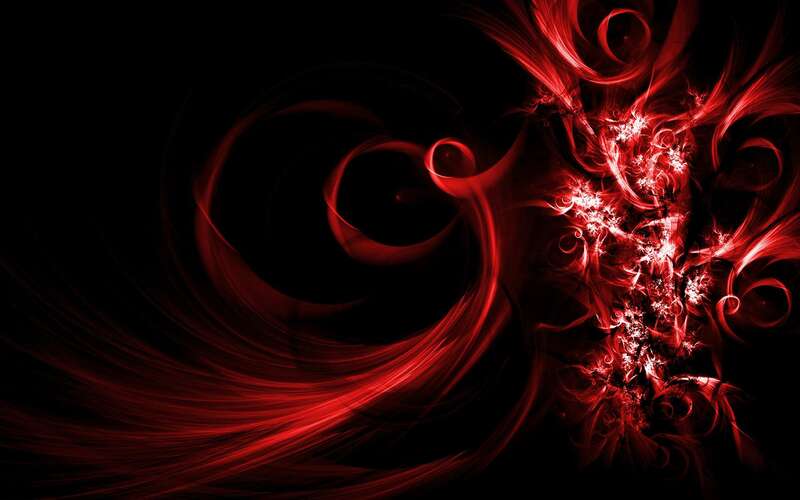 By weaving through modified seals to ultimately create three dragons of fire, water and earth. Karu’s finger tips on one hand would ultimately glow upon the creation of all three; by the final stage he would grasp his main hand’s wrist channeling singularity of white-lightning at the base of his palm. Firing it out at a high velocity in order to entrap his opponent for the execution of the three dragons. By releasing all the pent up energy a roar of chakra would echo through the field as each dragon would launch to their target, spiraling around them for a second afore crashing down in a vicious combination of fury. Although requiring no hand-seals the technique requires a large amount of concentration, removing the ability to use this technique while bound. By honing an immense amount of chakra into the form of a kunai, the user throws it at the target, increasing the velocity and force through the use of sheer white-lightning, when contact is made a surge of explosive energy fires in and around the target forcing their bodies to undergo a recovery stasis leaving them vulnerable and severely injured. Effects:Base Damage+D10 White Lightning Damage; User gains +9 Critical Range on this attack. This technique pierces D2 HP DR Universal. Upon the creation of the Chidori; although early in its years the technique was compared to a thousand-birds chirping. Due to Karu’s nature to get up-close and personal with his lightning techniques; this allowed him to do so and viciously. By coating his left or right hand in a coating of raw white-lightning, so sharp it was rumored to cut straight through the hardest of metals like butter. Effects: Base Damage + D2 White-Lightning Damage; Pierces D6 HP DR (Universal); Crit Range Increased by 6. This technique was something of an experiment. Karu was interested and baffled at the arsenal that he truly had at his disposal. And he wanted to use it. By weaving through modified seals to ultimately create six dragons of fire, water, earth, lightning, wind and his White-Lightning to execute. Karu’s finger tips on one hand would ultimately glow upon the creation of all five base elements; by the final stage he would grasp his main hand’s wrist channeling singularity of white-lightning at the base of his palm. Firing it out at a high velocity into the sky. Moments later a rain of white-lightning miniature dragons would descend down onto each foe aiming to shock their systems temporarily removing their ability to move. Upon finalizing the stage, he would release the pent up energy of all five of the dragons, launching them into the sky in a dazzle of blinding lights of each element as they all fell down to the earth, aiming to crash into one controlled explosion upon his foes. This technique allows the user to make a shadow clone infused with lightning. Because it is a shadow clone, it is able to perform techniques and interact with the environment due to it having physical substance; and also evenly distributes the user's chakra to each clone. If the clone is injured, it will revert to its natural lightning-state, at the same time electrocuting whatever it is touching. Effects: Creates 1 Clone; Roll D10. On a 5-10 Hit Clone, 1-4 Hit Creator. Lasts D6 Rounds. Note: Clone has 1 HP. If killed by Taijutsu, deal D4+1 Damage to Killer. (White Lightning Damage does Not Apply). Note: Clone Deals 1 Damage + Any White-Lightning Damage Bonuses. Raikiri is a significantly enhanced version of it’s parent technique ‘Chidori’ requiring an immense amount of chakra and undivided attention into the conjuration of the technique. Due to the sheer requirement of chakra the area around the user is filled with a incalculable amount of lightning. When the technique is fully manifested it is held in the hand and used to impale through the target. Due to the massive energy it consumes the user must take a round to recuperate after it’s usage. Effects: Base Damage + D10+2 White-Lightning Damage; Pierces D8 HP DR (Universal); Crit Range increased by 20. After a single hand seal the user throws a chakra empowered rock at full force hitting with increased damage. After three seals the user stomps the ground creating a jagged spike to stick out at an opponents body. After three hand seals the user stomps the ground and a large block of stone moves to block an incoming technique. Much like the Fire Combo, this technique is more of a combination of the element with the user’s taijutsu. Mixing in water with their strikes; and often finalizing the combo with a technique of varied proportion. The user makes a hand seal and spits water out in the way of an incoming fire jutsu to try and lessen the damage. With two hand seals the user spits out a stream of water from their mouth in a condensed and pressurized form. Executing a varied amount of seals based off the potency the user decides. It allows the person to release a large quantity of rather harmless wind; the purpose of this is to lightly coat the wind with the users chakra giving them an up-to-date feeling of the battlefield, capable of detecting any chakra irregularities and potentially hidden foes. After a hand seal the user spits out a rapid bolt of wind, thin, almost like a needle. This pierces through minor defenses. Effect: Single Target Attack. Deals Base Rank Damage, Critical hit on 18-20. Effects: Base Damage + Level Damage + 1 / 2 (Rounded Down) Damage for 1D2+1 Rounds. Creating a somewhat bigger ball of fire about the size of a baseball, they spit this fire out of their mouths after making three rapid hand seals. By injecting the body with electricity, one does not damage the outer body but causes painful muscle contractions and involuntary spasms. Creating a small lightning bolt it travels from the finger to the target channeling the lightning from the belly, and scorching the skin. 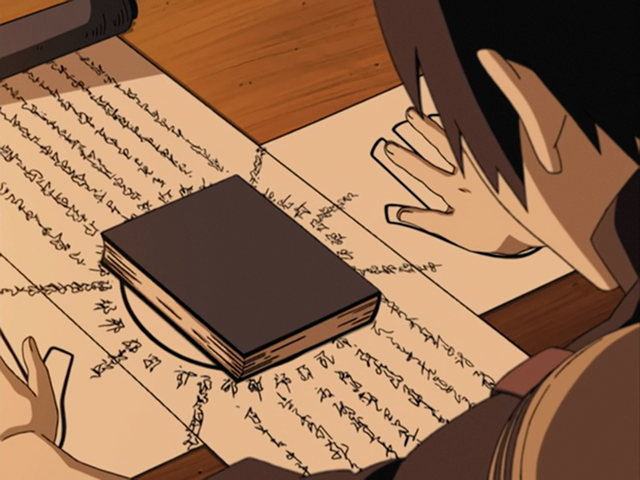 Although an unusual method of hiding ones chakra; the user utilizing the lightning affinity in their body and starts to increase the rate in which they bounce and interact with one another. After a timely effort, they can utilize this chakra to cover their visible form; upon this mild camouflaged technique it grants the user room to release any excess lightning chakra to draw attentions away from their individual. Roleplay: This technique fools the target into thinking they are being smothered by leaves, the more they struggle the more leaves appear. Roleplay: This is a genjutsu that reveals the fears that dwell inside people's hearts. Everyone has an image of the one thing they wouldn't want to ever see. This genjutsu is a technique that draws forth such an image from within the heart and has one mistake it for reality. First, an imaginary circle of leaves will spin around and envelop the target, falling away shortly after. After a short period, the illusion will begin. This is to make the illusion more convincing, since the user will likely have moved before the illusion sets in. If the mental image is a gruesome one, the shock will be accordingly great. - Death, although a common thing (Supposedly) if it comes too, shitniz happens.